What a fun residential street this is. In the foreground the saguaro sculpture seems to be waving "hello!" to passersby (or maybe just to the mailman). 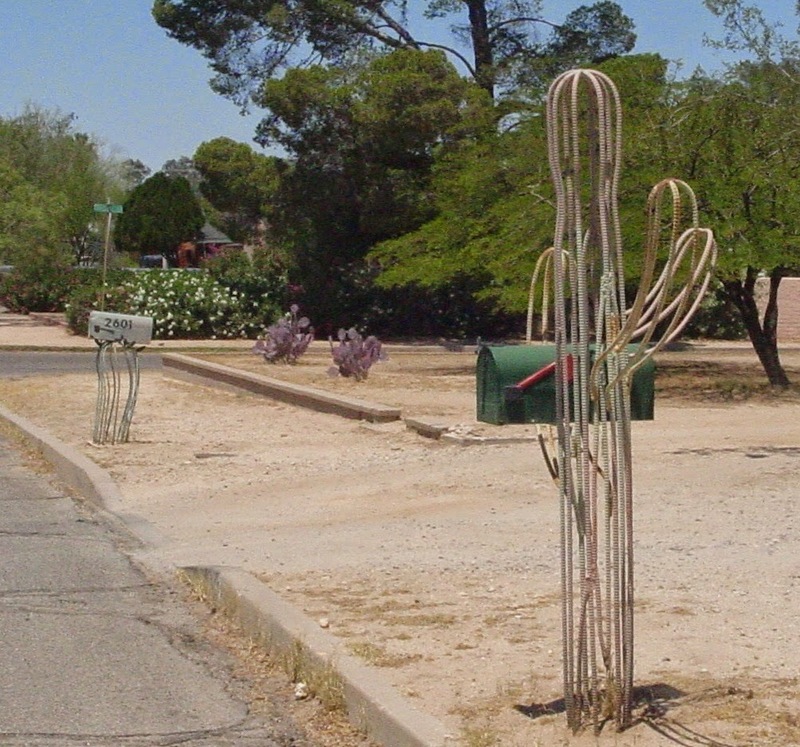 Don't miss the barrel cactus mailbox in the background - much smaller but just as fun. Is this the same street as the pink porch chairs?